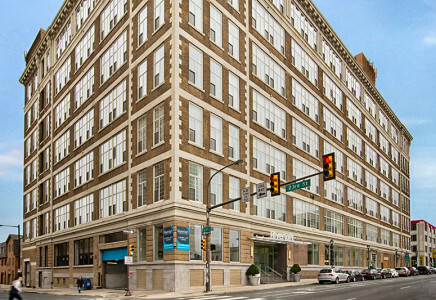 Riverloft Apartments, located in Philadelphia’s highly-desired Fitler Square neighborhood is steps away from Rittenhouse and Center City, home to a unique enclave of independently-owned restaurants, retail boutiques, hotels, and more. Just around the corner is the Schuylkill River Trail, where residents can enjoy a day filled with outdoor recreation along the river. Riverloft provides residents with varied loft-style pet-friendly apartment floor plans in studios, 1-bedroom, 1-bedroom plus den and 3-bedroom options. Amenities include 16-foot-high ceilings, stainless steel kitchen appliances, and 12-foot windows offering spectacular views of the Schuylkill River and the Philadelphia skyline. A 24-hour concierge is available to assist with any of your building-related needs, and the building also offers an on-site ATM and controlled access garage parking for an additional fee. Let the James ‘Right’ Price Team’s real estate acumen make your search for a Philadelphia luxury condominium a success by placing you in the Riverloft Apartments today!